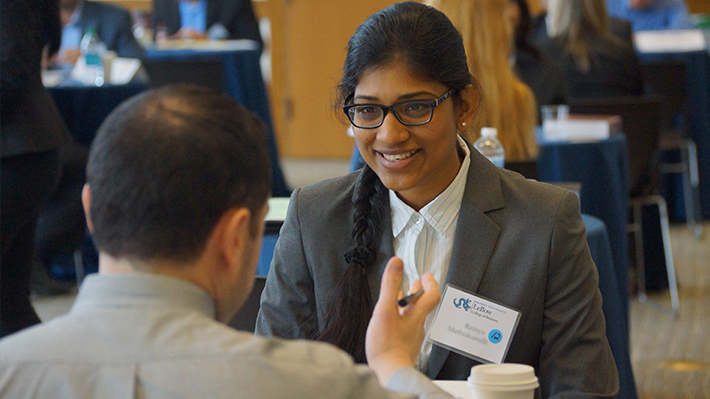 Throughout your program at LeBow, Graduate Career Services will provide general and targeted workshops focusing on both career management and development for MBA and MS students, recent graduates and alumni. Events are also scheduled to provide students and alumni opportunities to engage with our employer partners. Please register for these events on the LeBow Events page. The Office of Graduate Career Services offer specialized workshops and programs designed to meet the unique concerns of international students on career, job and internship search process. International students are encouraged to attend these events as a supplement to the events related to their career field(s) of interest. Additionally, international students are encourage to enroll in Foundations of Career & Professional Development (BUSN T680) course offered by the LeBow College of Business. This .5 credit course provides foundational instruction in professional etiquette and career development. Students will learn through lecture, small group activities, and one-on-one meeting with their career advisor the tools to create a professional resume and cover letter, LinkedIn profile, and learn how to network effectively within their industry. Upon successful completion students will be able to commence their internship/job search with the correct tools and knowledge. Schedule an individual counseling session with staff to get resumé feedback, job search strategies and other career related advice. InterviewStream™ gives you a competitive edge to increase your chances of landing your ideal job by offering you practice and feedback opportunities.